It turns out that Lego Friends fits into the Lego System very well. It’s success means that this theme will probably be staying around for years. So far, the Friends theme has been offering many unique Lego pieces and exclusive colors. Focusing on pink, purple, blue, and green has made these sets instantly recognizable (for good or bad). There have been a few amazing MOCs (My Own Creation) combining the Friends theme with other Lego themes. 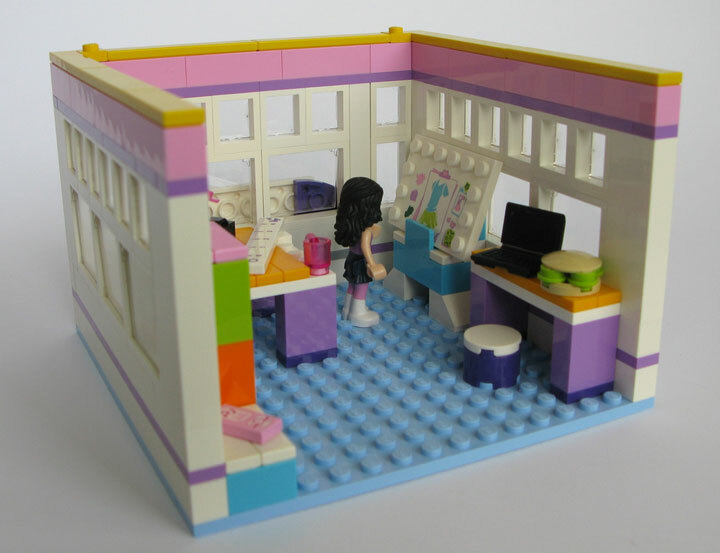 Some of the best creations are those involving the Modular Buildings. 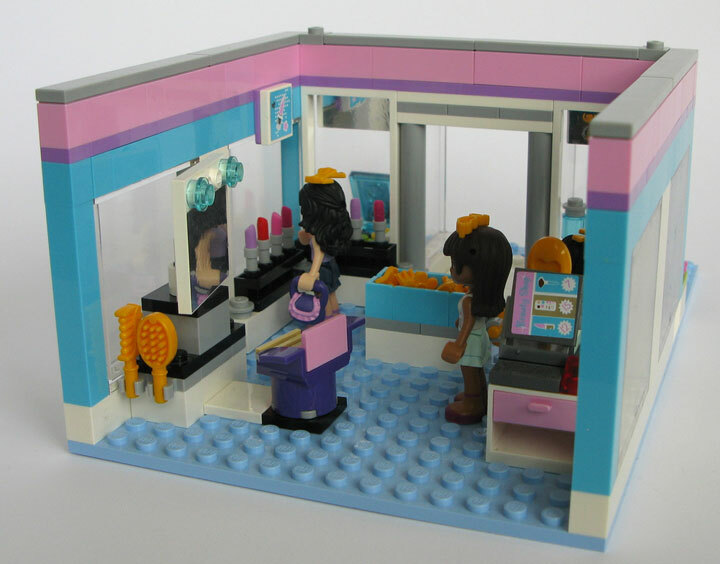 These super detailed buildings can be described as a sort of “doll house” for the Lego fan. 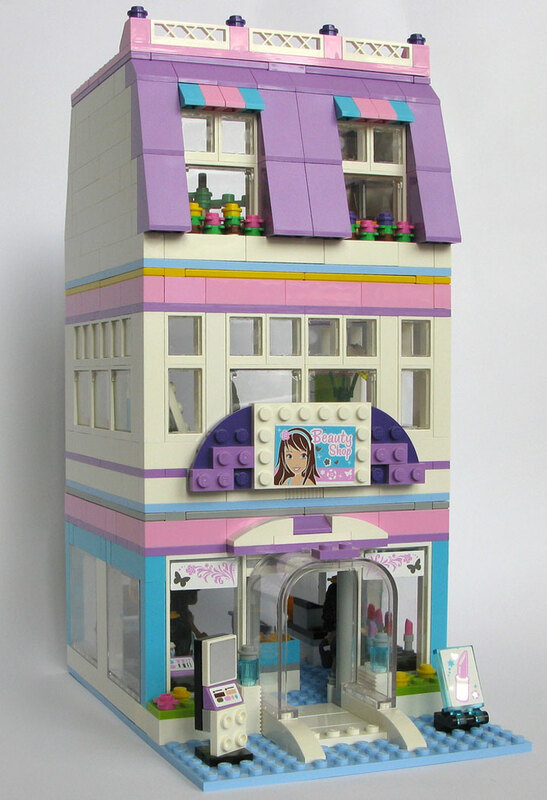 This Lego Friends themed modular building is called Emma’s Place. This design would fit into the modular buildings very well. Especially the Lego Pet Shop (10218) and the Lego Cafe Corner (10182). Emma’s Place is a single building that combines the the Beauty Parlour, Fashion Design Studio and Karate Class together. The all glass (plastic!) entrance into Emma’s Place is a great design; opening up into a full Beauty Salon. The second floor features a Fashion Design Studio. Emma’s Place is topped with a Karate Dojo, where all the friends can attend Karate Class. 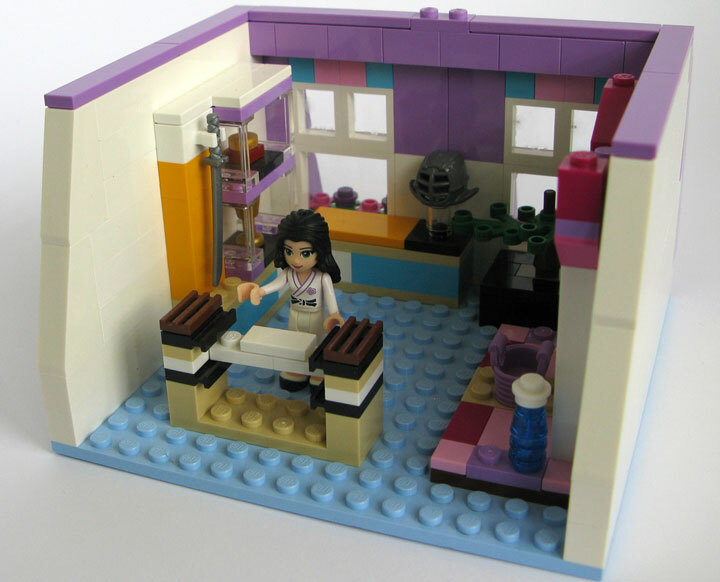 LegoGenre has featured other Lego Friends themed Modular Buildings, most notably the “Lego Friends: Lovely Hotel, A Wonderful Cafe Corner (10182) Mod” which can be found here.